Rose pink in colour this beer has a great appearance along with a fruity flavour and aroma. Made from rice makes this beer a smooth easy drinking tipple. 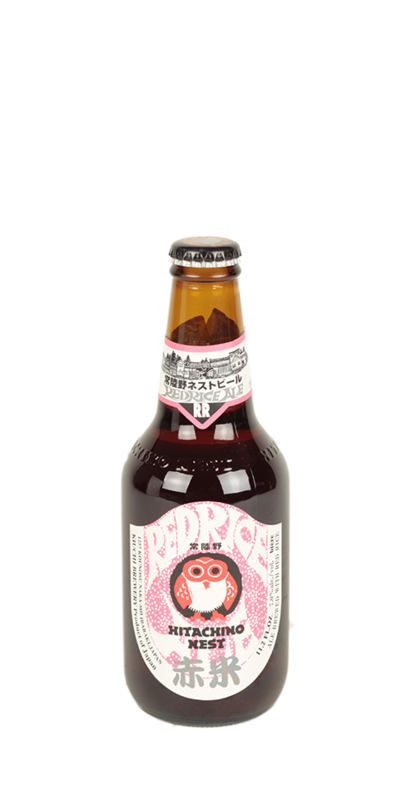 In the autumn of 1996 the first Hitachino beer was made by Kiuchi, launching the brand Hitachino Nest Beer and its own unique owl logo. Over the years the Hitachino name has grown and gained worldwide attention, selling a range of different styles.